Winter is a great time to spend baking in the kitchen. 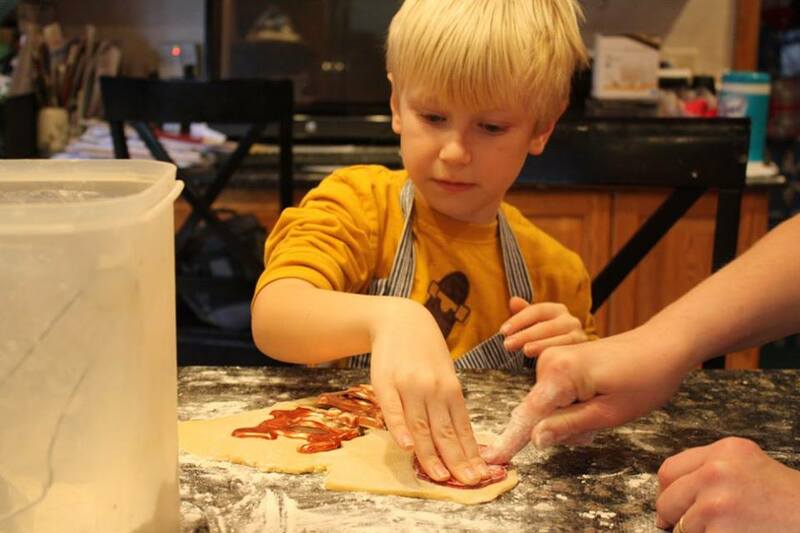 Kids of all ages will love to learn to bake by giving you a helping hand. We’ve broken it down into easy tasks perfect for kiddos from toddler to pre-teen, so grab your little ones and teach them more about baking by making our Bread in a Bag recipe below! It pairs perfectly with a cup of warm soup on a cold winter day! In a resealable plastic bag, place 1 cup all-purpose flour, sugar and yeast and add in warm water. Squeeze air out of bag and seal. Squish with your hands until well mixed together. Let it rest for 10 minutes at room temperature. Bubble will form. Open bag and put in ½ c all purpose flour and ½ cup wheat flour. Add oil and salt. Seal bag again and squish until well blended. Add 1 cup of whole wheat flour. Seal and continue mixing in the same manner until well blended. Remove dough from bag and put onto a lightly floured surface. Knead dough for 5-10 minutes or until smooth. Divide dough in half and place each half into a greased mini loaf pan or make one large loaf. Cover with a towel and allow to rise for about 30 minutes. Bake in a 375-degree oven for 25-30 minutes or until bread is golden brown.